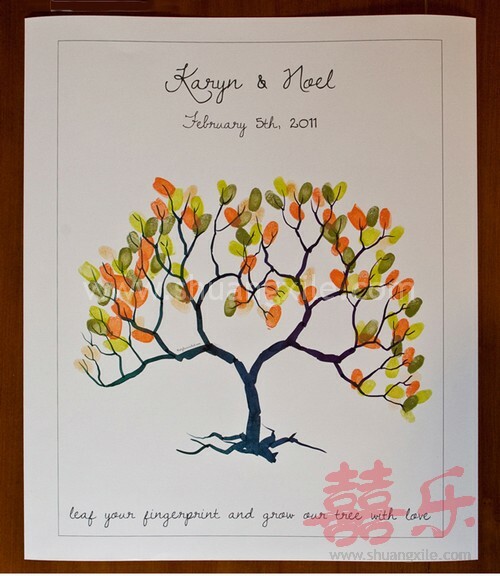 A beautiful alternative to a traditional guest book, try a thumbprint or fingerprint tree. 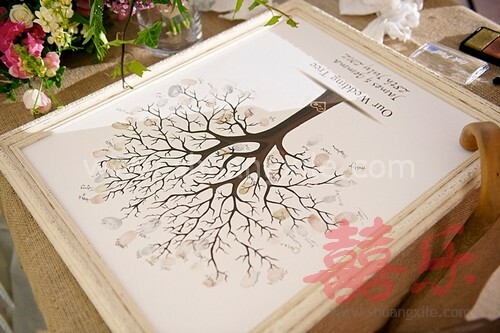 So cute to hang on your wall after the wedding! 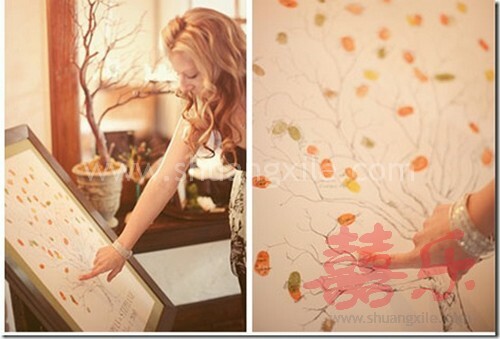 Guests leave a fingerprint to act as a leaf on your love tree. 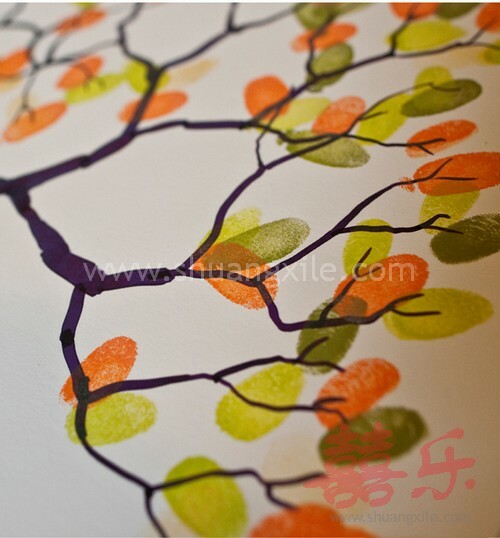 They can also sign on the branches or even write their message and wishes for you! 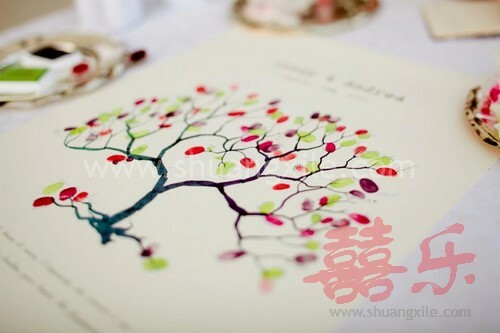 Standard copy are without name and wedding date. Available while stock last. 30cm*45cm suitable for 50-100 guests. 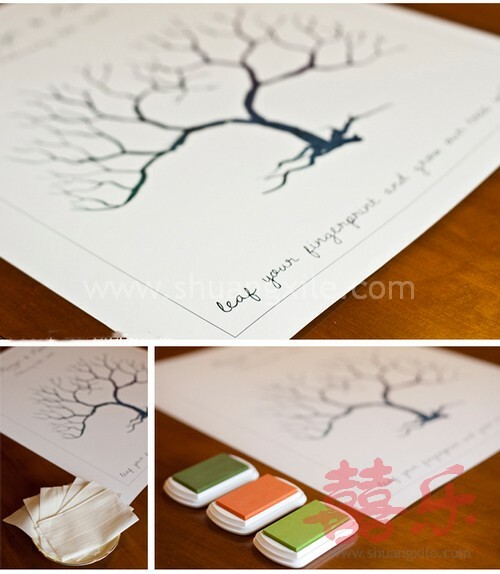 Ink pad and frame are not included in the item price. 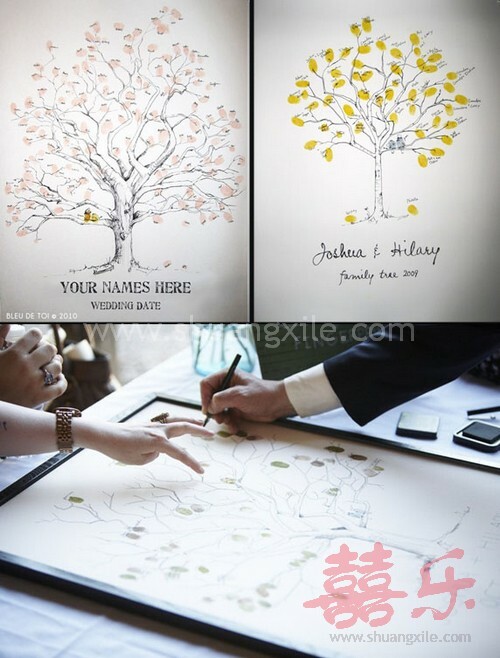 Couple name and wedding date can be personalised. Personalisation is available at additional charges apply. Personalisation can choose to frame up with canvas wooden stretch. 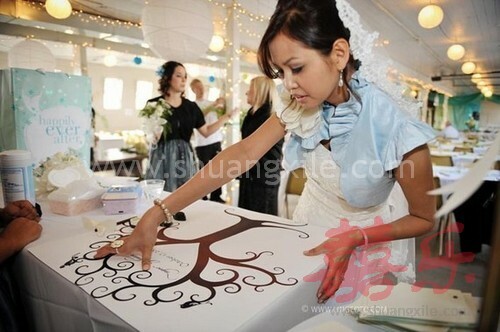 Please call 6397 2018 by providing your wedding date for more detailed information. 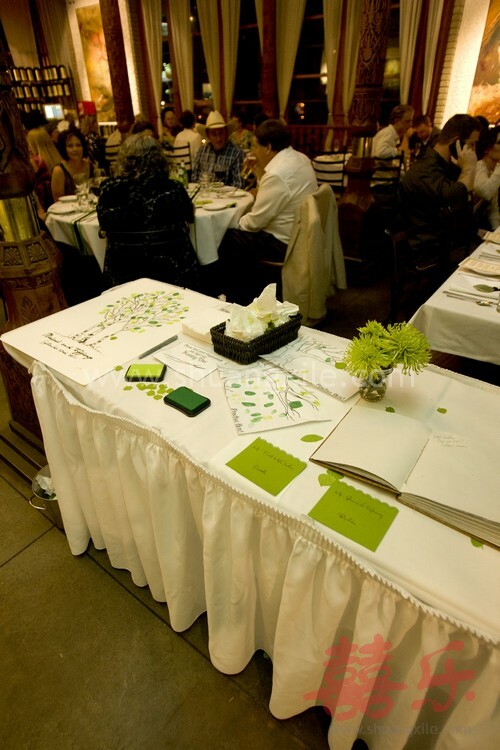 Picture below shows after guest completed the fingerprints and signatures. Other pictures for effect illustration purposes.